Stories taken from "True Mother's Life"
Reprinted from the Blessing Quarterly stories about True Mother's life from the time of her birth to the time of the Holy Wedding. Most of the information for these stories was taken from Mother's testimony, Father's comments about Mother's life, and the testimony of Grandmother Hong (True Mother's mother). In the same province of North Korea where Father was born, a young woman named Soon-Ae Hong was nearing the time when her baby would arrive. She was at home with her parents almost all the time now. This evening, she sat on a small stool making mandoo for supper. She had a brother, but he had left home, and no one knew where he was. Her own husband had also left, so it was just the three of them. As she rolled bits of chopped meat and vegetables into the paper thin flour shells, her thoughts drifted back to her younger years. "Mother was a good Christian, and she always told me to watch for the second coming of the Lord Jesus," she remembered. "I haven't found him yet, but I feel in my heart that something is happening." Soon-Ae had already belonged to several churches of great significance for the Lord of the Second Advent. The first was that of Mrs. Sung So Kim: the Holy Lord Order. "I was barely a teenager," Soon-Ae recalled. "But how my life changed at that time. It meant so much to me to be her disciple all those years-what was it, thirteen, fourteen-no, fifteen years it was." Now Soon-Ae Hong was 30 years old. A smile came to her lips." I loved the way they called her Kamsa Halmoni ." In Korean, Kamsa Hamnida means "Thank you." When people went to Kim Halmoni's church, they had wonderful spiritual experiences. Then they would all bow and say over and over, "Kamsa Hamnida. Kamsa Hamnida." They started calling her Kamsa Halmoni, which means something like "Thank Grandmother." Many people loved her dearly and came from all parts of Korea to worship in her church. Often Soon-Ae felt excited about this, but she also felt impatient. "Where is he, Kim Halmoni? How long will we have to wait? If only I could read all your messages now," continued Soon-Ae as she poured water over the rice and placed it on the fire. She knew that, even though Kim Halmoni had written everything on twelve rolls of paper, eight feet long each, they had been burned by a relative so the Japanese soldiers could not find any evidence against her. Yes, evidence! Can you believe anyone would want to hurt such a dear lady? The Japanese, who were controlling Korea then, had heard that she was saying Japan would soon be overcome. They didn't like that! It was a tragic day when Kim Halmoni was hauled away to jail to be questioned. The thousands of people who came to her church couldn't help her, and so she was questioned and beaten for 100 days. It was awful. Soon-Ae's heart still burned with pain whenever she thought of it. The soldiers couldn't prove anything, so they had to let her go, but that dear 62 year old lady was so weakened by the experience that she soon became ill and died. It was the end of her church, also. "It's so sad," thought Soon-Ae, wiping at her tears with one hand while dropping the mandoo into the sizzling oil with the other. "Many people suffered terribly to prepare for the Lord's coming, and in the end they died without even meeting him. I wish, more than anything in life, that I could meet him. Even to cook his food would bring such joy." As she poked at the mandoo with long wooden chopsticks, her thoughts moved forward to Mr. Lee, who had been one of Kim Halmoni's disciples. Soon after Kim Halmoni's death, his wife, Ho Ho Bin, began receiving revelations. Many of the messages were the same as Kim Halmoni's: They should prepare for the Lord; the Messiah would be born in Korea, and so on. But there was one big difference. When Mrs. Ho prayed, her abdomen started moving, almost shaking, as if there were a baby dancing inside. Mrs. Ho thought it meant the Lord of the Second Coming might even be born from her womb. In any case, it was God's way of telling them the second Jesus would be born of a woman, just as the first Jesus had been. As people began listening to her revelations and praying with her, they became known as Bogjoong-gyo (The Inside Belly Church). Mr. Lee had told Soon-Ae about Mrs. Ho's revelation, and she had joined that group. One day, as Soon-Ae was praying, she saw Jesus standing before her. "Oh, yes, I do, Lord Jesus," she answered breathlessly. "Then please cut your hair short, and use it to knit a pair of socks for me," came his surprising answer. Korean women always wore their hair long. It was their custom, and everyone followed it. No one was different. But Soon-Ae immediately got the scissors and carefully cut her long hair. She smiled now as she remembered shaking her head in the wind and feeling so light and free, and the strange sensation of washing short hair-as if there were nothing there. Most of all, she remembered the stares of the people. But it didn't matter. She loved Jesus. After she knit the black socks, she started helping Mrs. Ho to make clothing and food for Jesus from the time of his birth until he was 33 years old. Of course, Jesus had been dead a long, long time, but he was alive in spirit world, and his heart was still sore. He had been born to be the King of Kings, but he was poor and mistreated from birth onward. "Poor little Jesus," Soon-Ae sighed, remembering how she had felt at time. "He had only swaddling clothes-rags-wrapped around him. Only God kept him alive in the cold stable." Later, Mrs. Ho's group began preparing clothing for the Lord of the 2nd Coming. In fact, they were looking forward to meeting him in person. He wouldn't be wrapped in rags if they could help it. No, sir. They would prepare everything, and it would be fit for a king. 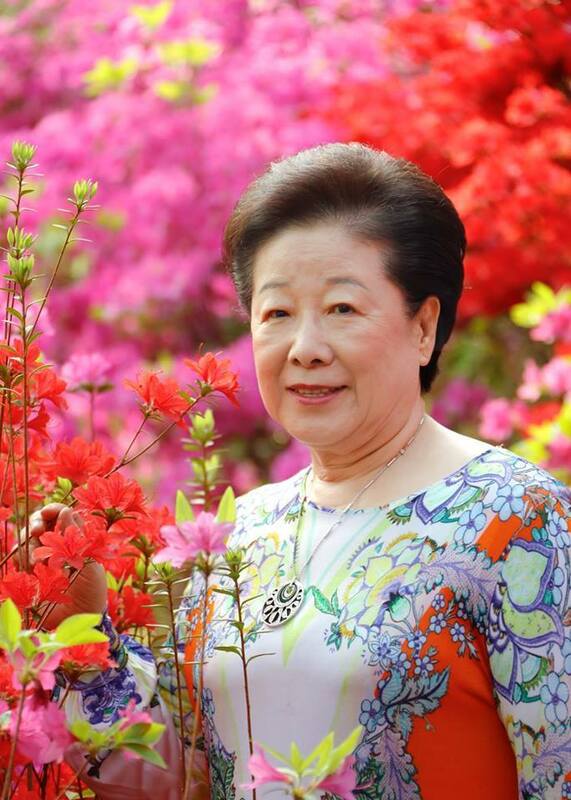 "As soon as I have this baby, I want to return to help Mrs. Ho," she promised herself. "There is so much to be done." But for now she was here in Pyong Yang Do province in the village of Sinli. As she shifted her weight to ease the strain on her back, she felt gratitude for her ancestors who had been so good. That was why she could understand these things. Because of their goodness, God could work with her. No one told her this; she just knew. "Isn't it interesting, though, that I am the only daughter in my family, and my mother was the only daughter in hers, and her mother was the only daughter in her family? I wonder what it means?" She drained the mandoo on paper as it was finished. Then her thoughts moved to a more recent event. She had met a young man named Han. He was from another group that was also looking for the Lord. This young Mr. Han had received a revelation saying, "You should marry the daughter of Yoo-Il Hong. If you have a baby boy, he will become the king of the universe. If you have a girl, she will be the queen of the universe!" He had met her, and now she was about to have his baby. Whenever she thought of him, tears came to her eyes. Her parents had liked him a lot. Because her brother had gone away, they asked this young man to became their son. "Please let us adopt you," they said. But he was proud. How could he be adopted by his wife's family? He didn't want to be badgered about it, so he didn't come to their place much any more. "Well, maybe after the baby is born, he'll come back," she thought hopefully. She placed her hand on her stomach and felt a vague tightening of the muscles of her stomach. But then it went away. The next day, at 4:30 in the afternoon, as the winter sun was about to touch the horizon, the cry of a newborn baby was heard in the house of Hong. "It's a girl," announced the midwife, and she placed the tiny baby in her mother's arms. The lunar calendar, which all Koreans use, showed that it was January 6, 1943. The new mother forgot, for the moment, about the prophecy that her baby would be queen of the universe. She just felt joy. This was her own baby daughter-and such a beautiful baby at that. They gazed into each other's eyes, and the little princess had her first meal. When the sun had disappeared behind the trees and the new mother had rested, her own mother brought in a steaming bowl of freshly made algae soup. Every Korean woman knows that this is what you eat after having a baby. Then you share it with everyone else in the family. As she sat up on her mat to take the soup, she said, "Omma (mother), her name shall be Hak Ja. It means `White Crane.' She will be beautiful and graceful." The new grandmother smiled proudly and left her with her soup. Suddenly Soon-Ae stiffened with a jerk, almost spilling the soup all over herself. There was someone else in the room with her! Her eyes made out a dark shape, very ugly and foul-smelling. She was frozen with fear. As it began to speak to her, she suddenly realized with a shudder that this must be Satan! She didn't know what to do. "Soon-Ae Hong," he croaked threateningly. "You must kill your baby tonight. If this child lives, the world will be in very serious trouble." She set the soup down with trembling hands and reached for her baby. "But why?" she managed to gasp. "Why should I kill my little daughter?" She held the sleeping baby very close, protecting her. Satan just had time to sneer, when her mother walked in. "How's the-?" She stopped short when she caught sight of the terrified look on her daughter's face as she clung tightly to her baby. The older mother knelt down by Soon-Ae's mat. "What's wrong? What are you doing?' She caressed her hair, trying to help her relax. The menacing figure had disappeared. Shaking and pale, Soon-Ae explained, "Satan was just here, and he said I should kill my baby." Her mother didn't know what to say. She just continued smoothing Soon- Ae's hair. "There, there. Don't worry. Everything will be alright. It was just a bad dream," she added lamely, knowing full well that Soon- Ae had been awake. Soon-Ae worried all week. "What does it mean? Are we in danger? What should I do?" She prayed about it and thought about it every day, and she couldn't forget the awful feeling of it. Seven days later, she was resting on her mat when another figure appeared in her room. This time it was Kim Halmoni from spirit world- Kamsa Halmoni from spirit world-Kamsa Halmoni! The feeling Soon-Ae got was one of warmth and light, comfort and love. What a world of difference between these two visitations! "My dear Soon-Ae," said Halmoni. "I have come to assure you that Hak Ja Han is the daughter of God. She will become the queen of the universe. God is her Father, and you are just taking care of her for Him. Do you understand? You should think of yourself as the babysitter or nanny, not her mother." Then she disappeared. "Thank you! Thank you!" breathed Soon-Ae. Now she understood that Satan had lied to her, had tried to deceive her, because he didn't want his world to be in serious trouble. She would keep these words in her heart always and take very, very good care of her little girl- God's little princess. As soon as she regained her strength, true to her word, Soon-Ae returned to her work with Mrs. Ho Ho Bin. While her little daughter stayed at home with her grandmother, Mrs. Hong sewed clothes all day for the Lord who was to come. Little did she know that he had already been born in the very same province where her own daughter was born. Little did she know that he was over 20 years old already and would soon come to Pyongyang. Little did she know her daughter was destined to be his bride.